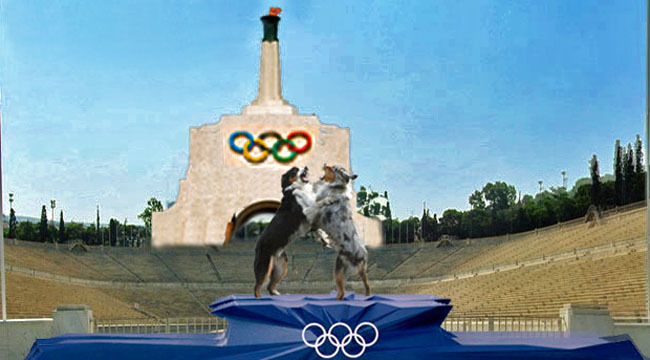 OLYMPICS ON CROSSCURRENTS, 4/6: – Doggedly Yours… Howling, Humor, and History. OLYMPICS ON CROSSCURRENTS, 4/6: The opening ceremony for the first Olympiad of the modern era was held April 6th 1896 in Greece. It appears that the competition between Gavin and Wyatt has continued while they are on the award podium in Olympic stadium.. You can reward yourself with a gold medal during the Olympiad observance on Crosscurrents, 4/6 at 8 a.m.